MSOS is running six weeks of summer day & overnight camps at John Newcombe Tennis Ranch this summer. Their UEFA qualified, UK coaching team are looking for players that love soccer to come and join them to learn about the beautiful game and have a whole lot of fun! If you want to take your child’s game to the next level there is only one camp for you to send your little ones this summer. 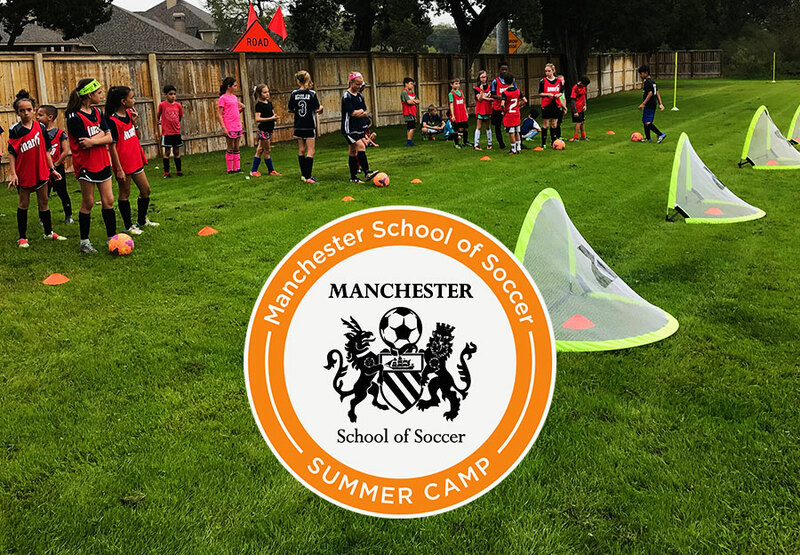 The coaches of Manchester School of Soccer have top level certifications & ex Professional soccer players with in the ranks. It is hard for me not to brag about our players and their successes. The pride I have for Newk’s and the Academy goes beyond anything I have in my life. Having spent my childhood here, I was practically raised on the Ranch. I trained in the Academy as a junior player from age 10 until I went off to college. I met so many young talents – what a great environment to be around! Some went off to be college stars, and some are playing in the pros today. I may sound biased, but the recipe here works. Much of it has stayed the same from when I trained in the Academy. Newk’s players become extremely fit and match tough; tournament ready if you will. And the ones who buy into the concept (not all can handle the day-in-day-out grind) produce the results. At Newk’s, players become fully self-sufficient on and off the court. As coaches, we keep the game simple and positivity is a must. Although it takes time, tournament results start to come and by the end of every year, we find ourselves smiling at the successes of our young players. In this recap of 2018, I have gone from youngest to oldest; many of our young talents who started in our “hot shots” program just a year ago have gone from Challengers to Champs or Superchamps in a pretty rapid amount of time. Masyn McKinley supered in March. Anna Guan supered in January. Jacqueline Schnabel supered earlier this semester and went to the finals in doubles in her first superchamp tournament. Carissa and Carina Holguin, twin sisters, reached the semi-finals and finals in their most recent tournaments after struggling to win matches in supers earlier this semester. Kimberly Duncan is battling in champs and making big strides in her game. She will undoubtedly super-up soon as she continues to work hard and improve. Jordyn Pax has jumped approximately 30 ranking spots in Texas in just a few months. She also made Samuel Clemens history taking the 5A district title in mixed doubles. Sophia Rashid moved from Las Vegas, jumped into the Texas section and won only her 2nd superchamp tournament. Skylar Minns is rising the ranks in girls’ 16s after struggling to get past the 1st rounds of tournaments earlier this year. These young ladies are the future of our academy on the girl’s side. As for some of our older players, Rachel Rompel became a Texas private school 4A state champion for John Paul II. Indy McClelland has jumped from a UTR 6 to a UTR 9 in a matter of few months. He is now one of our high-level boys and also won the 5A district in singles for the first time in Clemens High School history. Victoria Caster and Taylor Hansard competed in the national level-3 team tennis event in Arizona and won matches. Both girls were in champs just last year. Katelyn Thomas, Maria Fernanda Campos, Sydney Fitch, Brooke Killingsworth, and Lina Alarcon are all being recruited by top Division I programs as only juniors in high school. Blessing Benibo keeps rising through the Texas rankings as he is one of our most improved players in years. He is being recruited by several D1 programs. Reya Coe has risen through the rankings faster than any young girl we have seen in a while. Earlier this year, she was one of the top 12-year olds in the world. She is now playing up two age divisions in the 16s as a 12-year old; and she is starting to beat top 16-year olds. Wes Barnett has gone from a middle-ranked southern player to becoming #1 in the south earlier this year. Transitioning to 18’s, he has not slowed down at all. In the last level 2 national, he took home 1st place in singles. Only a junior, he has already committed to University of North Carolina in Charlotte. Welsh Hotard is playing like a grown man; he just won the Easter Bowl International Championships in doubles and made it to the quarterfinals in singles. At the start of the semester, he was still trying to find his identity as a player. Maria Fernanda Campos traveled throughout Mexico and South America and competed in several high-grade ITFs. Fiona Crawley went from a top Texas player to now one of the best young girls in the world. She won the USTA Winter Nationals G18s as a 15-year old. At age 15, the University of Georgia has already offered her a full ride. She participated in the Orange Bowl International Championships and is on her way to quite the future in tennis as a collegiate star and WTA player. Seniors who have signed include: Allison, Lindy, and Emily Carpenter with Harding University; Julieanne Bou with University of Connecticut; Shaila Alda with the Air Force Academy; Taylor Hansard with Ouachita Baptist; Wes Barnett with UNC Charlotte; Sean Bailey with IUPUI; Kristina Yu with Wesleyan University. Samantha Gillas, Lina Alarcorn, Milosh Petrovic, Juan Castaneiras, Matt Frange, Marcelo Diaz, and Takashi Thomas are all about to sign with their prospective schools. Some of our most improved boys include: Jacob Berg, Trey Hansard, Zakaryah German, Christian Alda, Sam Cook, and Nico Torres. Some of our most improved girls include: Magdalene Gonzalez, Pau Campos, Skylar Minns, Jordyn Pax, and Karly Post. We also have several young “hot shots” that are improving fast; you will be hearing about them soon! It has been another great year in the academy, with one of the best groups we have ever had. We are proud of everyone and their hard work throughout the year. As coaches, we understand there are ups and downs in this grueling process, but you start to see it really pay off towards the end of every year. Hopefully, everyone keeps pushing in the summer and striving for improvement. GREAT JOB NEWKIES!